Bruce James, Art Gallery of New South Wales handbook , 'Asian Collection: East Asia', pg. 246-287, Sydney, 1999, 281 (colour illus.). Jackie Menzies, AGNSW Collections , 'Asian Art - India, South-East Asia, China, Tibet, Korea, Japan', pg. 173-228, Sydney, 1994, 222 (colour illus.). Jacqueline Menzies, Art Gallery of New South Wales handbook , 'Asian', pg. 72-93, Sydney, 1988, 84, 86 (illus.). 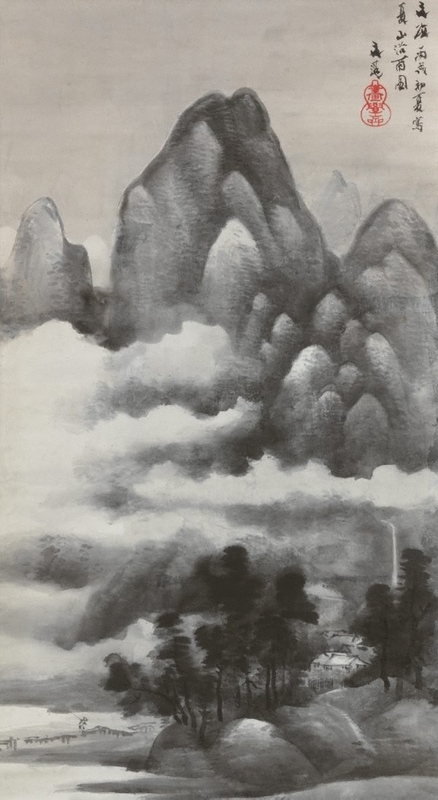 Khanh Trinh, The golden journey: Japanese art from Australian collections , 'Early summer mountains in the rain', pg. 148-149, South Australia, 2009, 148 (colour illus. ), 311 (colour illus.). Bronwyn Watson, Look , 'Network for Asia', pg. 20-21, Melbourne, Apr 2001, 20 (colour illus.). Asian Collection Handbook, Art Gallery of New South Wales , 'Japanese Painting', pg. 53-69, Sydney, 1990, 68 (illus. ), 69. The Asian Collections Art Gallery of New South Wales , 'Edo Painting Schools', Sydney, 2003, 239 (colour illus.). Art of the Brush - Chinese & Japanese painting calligraphy , Sydney, 1995, 21, 22 (illus. ).